Should you be worried about a little bit of damage to your roof? When should you worry about your roof? Is that damage it sustained in the recent windstorm something to be concerned about, or can you wait until the summer to do some patching? Here’s how to tell if you need to get to that roof repair or replacement right away. The life of a roof is up to 30 years, though according to Angie’s List, “most experts agree that a typical roof will last between 20 and 25 years.” If your roof is getting a little older and you notice that shingles are loosening and cracking, then this could be a sign that something larger is afoot: your roof is too old to be repaired. Over time, the weather damages your shingles. If you notice them peeling up on the edges or curving in the middle, that is probably because they have experienced too much weather for too long. 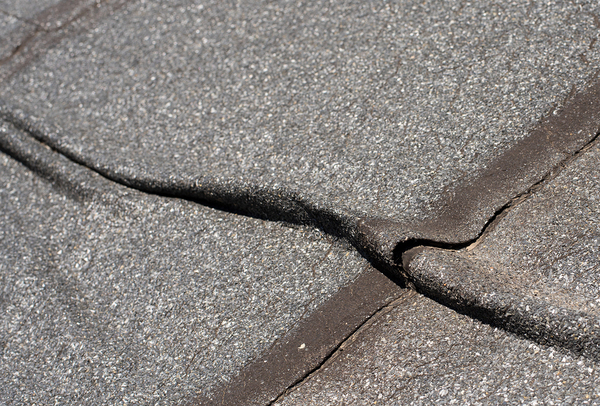 If you see that your shingles have cracks in them, this is likely due to the fact that your roof has experienced wind damage over the years. While one or two curled or cracked shingles are easy to replace, if you see that this is a trend, this could be a sign that you will need a new roof in the next year, and definitely within the next five years. If you are cleaning your gutters and you see that there is more debris in there that looks like your shingles, it could be. The shingles tend to degrade over time, and tiny particles end up in the gutters, where they accumulate. This is a normal process, but it does say that your roof is getting older. It’s not an emergency yet, but take a look for missing, cracked, and curling shingles that could spell the end of your roof. 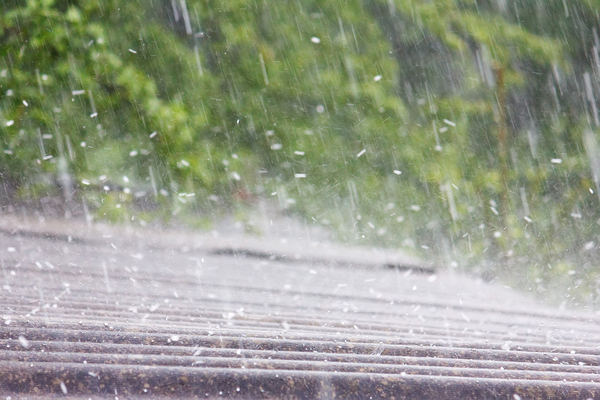 Your roof needs to act as a barrier to ice, snow, hail, rain, and wind. While some people choose to add algae resistant shingles to their roof, you may not need to worry if you have plants growing on your roof. Unfortunately, people don’t always know this and can damage the roof themselves with vigorous scrubbing and cleaning. If you have moss on the roof, don’t damage your roof by removing it and your roof at the same time. If you look at your roof line and the roof is physically dipping, this could indicate a severe structural problem. It could be that water has leaked onto the roof decking and has managed to damage the interior of the home. according to Good Housekeeping, “there could be a problem with the decking in the attic or, worse, with the supports in the foundation.” At this point, you need to get professional advice right away, or your home may not be safe. At Harry Helmet, we’re dedicated to the wellbeing of your home. Whether you need a new gutter or a roof replacement, talk to us. Schedule a free estimate today.